Michael Specter’s story in The New Yorker about Dr. Vandana Shiva’s work to protect public health from the effects of Genetically Modified Organisms (GMOs) skewed the facts and fell short of the magazine’s usually high standards for fairness. In the piece published in the August 20th issue (and in a subsequent podcast on The New Yorker’s website), Specter makes it clear that he does not approach the topic simply as a journalist, but also as a strong believer in GMOs. He makes no secret of the fact that he considers opposition to GMOs to be unfounded. But Specter makes his case by ignoring a great deal of evidence that directly contradicts his opinions. By ignoring important facts and questions – scientific, economic and legal – he allows his personal biases to undermine journalistic balance. The end product is a story that mirrors the false myths perpetuated by Monsanto Company on its website and does a true disservice to New Yorker readers. Instead of allowing readers to weigh both sides of the argument and decide for themselves, Specter decides for them. He erases one side of the debate in order to tip the scales in favor of GMOs. Readers of his piece, “Seeds of Doubt,” could easily come away with a false impression that the debate over the utility and safety of GMOs is settled. Nothing could be further from the truth. The dangers posed by GMOs are a mainstream concern, and the debate over their safety and value to society is far from over. Specter’s failure to acknowledge this undermines his argument in support of GMOs and harms The New Yorker’s reputation for quality journalism. Specter roots his critique of Dr. Shiva in easily disproven myths that are commonly repeated by the biotech industry, Monsanto Company and other GMO producers (Monsanto et al. ), and their supporters. Below, we illuminate his major errors and omissions, providing links to supporting research and articles that refute them. We encourage those who took the time to read Specter’s article to give equal time to the facts and voices he chose to ignore completely. Specter roots his attack on Dr. Shiva’s activism in a commonly repeated industry myth about the relationship between GMOs and famine. Just as Monsanto once claimed that a world without the carcinogenic pesticide DDT would be a world overrun by death and bugs, the GMO industry now claims that opposition to GMOs could lead to famines. In repeating this line, Specter specifically invokes India’s Bengal Famine of 1943. However, as any student of famines knows, the Bengal Famine did not result from a shortage of food. As the work of Nobel Prize-winning Harvard economist Amartya Sen and others have clarified, the famine in Bengal – like many other famines – took place at a time when the country had adequate food production. “Famines often take place in situations of moderate to good food availability, without any decline of food supply per head,” Dr. Sen wrote in Ingredients of Famine Analysis: Availability and Entitlements. In Churchill’s Secret War, Madhusree Mukerjee documents how Winston Churchill’s well-documented disdain for the Indian people resulted in callous indifference toward the famine in Bengal. Mukerjee, a former editor at Scientific American and a recipient of the Guggenheim fellowship, takes Sen’s analysis a step further, arguing that Churchill allowed the famine to happen as part of a strategy to maintain the British Raj’s control over India. There is no question that Churchill, who considered Indians to be “a beastly people and a beastly religion” and who referred to Mahatma Gandhi as a “malignant subversive fanatic,” repeatedly ignored pleas to address the famine. Instead, the British exported grain from India while millions of Indians starved to death. By completely ignoring the causes of the Bengal Famine, Specter misleads readers with this reference. In many cases, including the case he cites, famine occurred despite abundant food production. The problem was that a callous dominant force controlled the food supply and failed to act in the best interests of people. Just as the British exported rice and imposed exorbitant taxes while the people of Bengal suffered, Monsanto et al. today impose on poor farmers exceedingly high royalties fees for its seeds. This forces them deeper into poverty and makes it harder for them to feed their families. If Monsanto wanted to reduce hunger, it would not be doing so much to impose deeper poverty on farmers through its overpriced monopolistic seed scheme that perpetuates unsustainable dependency. Specter’s assertion that profit-hungry corporations are the antidotes to famine makes zero sense to anyone who has studied famine. Further, Specter’s assertion appears to be based on the debunked myth that genetically engineered seeds increase crop yields. A study by the Union of Concerned Scientists – “Failure to Yield” – found that such claims are overstated. Instead, according to the report, which is based on an analysis of peer-reviewed scientific literature, “Most of the gains are due to traditional breeding or improvement of other agricultural practices.” Even in the US, non-GMO crops have shown better yield improvements than GM crops, according to research conducted by the US Department of Agriculture and the University of Wisconsin. This report and others show that when genetically engineered products are stacked up against other agricultural methods and technologies, they are only a minor contributor to productivity. Other methods are more important. Notably, Monsanto is a top producer of GMO corn designed to streamline the conversion of a food staple into ethanol (rather than alleviate world hunger). Conclusion: Specter’s embrace of the GMO industry’s famine canard ignores a Nobel Prize-winning economist’s research into the root causes of the Bengal Famine, as well as other famines. In addition, the assertion that GMOs increase crop yields (and thus food supply) is exaggerated. In particular, it ignores the availability of other methods, such as conventional crop breeding, that are more successful at increasing productivity. Finally, as the NYU paper indicates, contributing to monocultures of a few crops that are not primarily used for food, much less food that helps malnourished people, likely increases – rather than decreases – food insecurity. This very well-reasoned argument is completely ignored. Additionally, it should be noted that the European public has widely rejected GMO food products – while creating societies with less food insecurity than the United States. But the vast differences between breeding methods that use processes that commonly occur in nature and those used in GMO corporation laboratories is substantial. For one thing, GMO foods often introduce proteins not previously in the food supply into our foods. The proteins come from organisms such as bacteria that normally cannot place their genes into our food crops, yet they enter our bodies when we consume these GMO foods. We do not fully understand their effects on human health. This is especially true because the regulatory systems do not thoroughly test their safety. In the US, the very companies that want to commercialize these products conduct most of these tests. These unanswered questions and ethical problems have resulted in widespread public concern over GMOs. Over 90% of Americans believe GMO products should be labeled, and a majority says they would avoid buying them if they were. As a result, Monsanto et al. have spent millions of dollars to kill proposals for GMO labeling. Monsanto et al. have not been as successful in Europe. Notwithstanding that millions of tons of animal feed are sold to Europe every year, labeling laws coupled with scientific review based on the Precautionary Principle, in tandem with widespread public skepticism of GMO products, have made it nearly impossible for GMO products to be sold there. The refusal of European citizens to serve as guinea pigs for Monsanto has hampered the company’s efforts to expand there. Clearly, it is not only activists who have expressed legitimate concern about GMOs. Governments and scientists also clearly perceive the difference between natural products and GMOs, and taken steps to guard against potential dangers. In a podcast accompanying Specter’s piece on the New Yorker website, Specter goes so far as to deny that organic foods are healthier than GMO foods, a claim that is challenged by many peer-reviewed studies. Conclusion: Specter’s comparison between modern biotechnological engineering and other types of crossbreeding or hybridization is completely misleading. Many experts, including a Nobel Prize winner, have articulated why GMOs are not typically found in nature and represent uncharted scientific territory. Specter’s oversimplification of the differences between natural and GMO products misinforms readers. Specter’s piece accepts as fact the false argument that GMOs pose no threat to public health and safety. He ignores credible research and serious questions about the health risks posed by GMOs. For example, in 2013, a group of nearly 300 scientists from the European Network of Scientists for Social and Environmental Responsibility (ENSEER) signed a public statement calling on GMO companies, commentators and journalists to stop repeating the false claim that a “scientific consensus” considers GMOs safe. The Center for Food Safety has done an excellent job of highlighting the potential risks of GMOs on human health, including toxicity, allergic reactions, antibiotic resistance, immuno-suppression, cancer and loss of nutrition. Monsanto et al. and their supporters typically deny any link between GMOs and negative health effects, saying there is no scientific evidence to prove it. Specter raises the common claim that no one has been harmed by consuming genetically engineered foods despite many years of widespread use in the US. But as with other possible food health risks, long-term harm to public health can only be determined by doing epidemiological studies, as have been done for numerous other possible health risks. Yet these studies have never been done for genetically engineered foods. In addition to the possible dangers posed by the GMOs due to superseding natural genetics, there is an added risk from pesticides. As the New York Times, Reuters, Forbes and many others have confirmed, GMO crops have resulted in the increased use of pesticides and herbicides. From Reuters: “Genetically engineered crops have led to an increase in overall pesticide use, by 404 million pounds from the time they were introduced in 1996 through 2011, according to the report by Charles Benbrook, a research professor at the Center for Sustaining Agriculture and Natural Resources at Washington State University.” Dr. Benbrook’s paper can be found here. 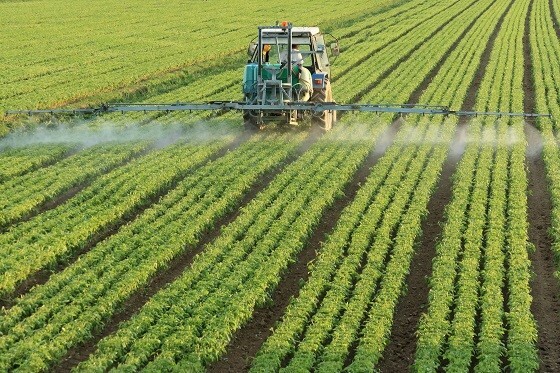 This increased use of dangerous toxins on crops poses known risks to human health. Highly credible studies have linked exposure to pesticides to a host of major human illnesses, including many cancers, endocrine disruption, reproductive harm and autism. Recent research from the University of California at Davis found that “mothers who lived within roughly one mile of where pesticides were applied were found to have a 60 percent higher risk of having children with any of the spectrum of autism disorders, such as Asperger’s syndrome,” according to the Sacramento Bee. “The weight of evidence is beginning to suggest that mothers’ exposures during pregnancy may play a role in the development of autism spectrum disorders,” said Kim Harley, associate director of University of California, Berkeley’s Center for Environmental Research and Children’s Health. The UC Davis study was the most recent study to establish a possible link between pesticide exposure and autism. Clearly, serious questions have been raised and there is more research to be done. Yet Specter fails to mention any of this. Conclusion: Once again, Specter omits or ignores important research that raises questions about the health and safety of GMOs. By doing this, he obscures the fact that the concerns Dr. Shiva and others express about the dangers of GMOs are rooted in credible research and legitimate scientific inquiry. Specter’s reliance on the classic “straw man” fallacy is what one expects from polemicists writing at Fox News or Breitbart, but is troubling for a journalist who writes for a reputable publication. Specter denies any link between Monsanto and the epidemic of farmer suicides in India, attributing their deaths mainly to the financial stresses of farming. His explanation mirrors the explanation Monsanto has posted on the section of its website dedicated to denying any link to the farmer suicides. And just like Monsanto, Specter ignores a key fact: Monsanto’s role in creating the debt and financial stresses that drive many farmers to suicide. The marketing of GMO seeds in India has resulted in farmers widely planting them without adequate information about their use and value. Specter greatly exaggerates the GMO seeds’ effect on crop yields when authorities there have attributed most yield gains to other technologies, such as increased irrigation. These seeds are extremely expensive compared to normal seeds, but they come with the promise of unrealistic results. When these promises prove false, an alarming number of these farmers – drowning in debt significantly worsened by Monsanto’s pricing scheme – end their lives by drinking pesticides. Monanto entraps Indian farmers in an expensive seed monopoly scheme, driving up their levels of indebtedness. Specter and others have tried to shift the blame for these suicides on “debt,” but given Monsanto’s role in helping to create that debt, this does not absolve the company of responsibility. In attacking Dr. Shiva’s advocacy for these farmers, Specter cherry-picks the data in order to deny the suicide epidemic altogether. Most flagrantly, he uses the national average of farmer suicides in India to dispute the notion that the number of suicides has increased. Yet, as Dr. Shiva points out in her rebuttal to Specter, the suicide epidemic is focused in the cotton-growing regions of Vidarbha in Maharashtra state – where Monsanto’s expensive Bt Cotton (a GMO strain) has taken root. Specter’s failure to acknowledge the fact that the farmer suicide epidemic is centered in the cotton-growing region, where Monsanto’s significantly more expensive Bt GMO cotton seeds now dominate, is a telling omission. Prices have increased exponentially since the introduction of Monsanto’s GMO Bt cotton seeds. In addition to driving up farmer debt by making the cost of seed significantly higher, Monsanto’s GMO cotton seeds increase pressure on farmers because these GMO crops need more irrigation in order to grow. In dry regions where water is scarce, this mix of increased seed prices and increased reliance on irrigation can devastate farmers. As the Times of India reported in September, Indian agriculture experts are urging farmers to abandon the GMO seeds and return to natural cotton, which is more affordable and less dependent on irrigation. Unlike Specter, the Indian government and other reputable press organizations have taken the Monsanto link to the farmer suicide epidemic seriously. Shifting the blame to “indebtedness” does not absolve Monsanto in the least. Instead, it repeats Specter’s use of a specific tactic – oversimplification – to dismiss concerns that contradict his opinion. Micha Peled’s award-winning documentary on the subject, Bitter Seeds, is mentioned by Specter in passing. We encourage people to watch the film in order to hear from Indian farmers in their own words and understand their perspective on the suicide epidemic and its root causes. Conclusion: Yet again, Specter ignores facts and evidence that contradict his opinion in order to mock the serious concerns expressed by credible observers, including the Indian government, and makes evident his lack of journalistic balance and objectivity. Michael Specter’s New Yorker piece seems clearly intended to impugn the motives and character of Dr. Shiva. As we have shown in the preceding pages, he systematically excises important facts, studies and journalistic reports giving the false impression that concerns over Monsanto’s monopolistic business practices and GMO products are unfounded. The opposite is true. Specter goes so far as to express sympathy for Monsanto, writing that “the gulf between the truth about GMOs and what people say about them keeps growing wider” and that Monsanto “is simply not that powerful.” What he fails to mention is that Monsanto has spent tens of millions of dollars to kill laws that would require GMO foods to be labeled in US grocery stores. The company’s power to defeat common-sense laws that most Americans support in principle – and thus keep people in the dark about whether they are ingesting GMOs – undermines Specter’s portrayal of Monsanto as misunderstood and ineffectual. In addition to downplaying unsavory facts about Monsanto and GMOs, Specter also did his best to undermine Dr. Shiva’s academic credentials. In fact, New Yorker editor David Remnick apologized to Dr. Shiva after Specter erroneously wrote that Dr. Shiva only had a bachelor’s degree in physics. In fact, she has a master’s degree in physics and a PhD in the philosophy of science. As such, she takes into account the scientific facts against GMOs and – unlike Monsanto – also weighs the moral questions. Malicious stories about people who the GMO industry considers threats are nothing new or unexpected. Monsanto has a long history of attacking its critics. In 1962, when Rachel Carson published Silent Spring – a landmark book about the destructive effects of pesticides often credited with launching the environmental movement – Monsanto went on the offensive. The company published a parody of Carson’s work titled “The Desolate Year.” It mocked Carson, portraying Earth as “a hungry world overrun by bugs” without DDT (a scenario that failed to unfold after the government banned DDT in 1972). Yet even today, decades after her death, Monsanto defenders like Rush Limbaugh continue to attack Carson for raising awareness of DDT’s dangers. Specter is not the first journalist to come after Dr. Shiva nor will he be the last. Our goal in putting together this response is to highlight the manner in which GMO companies and their supporters demean their critics by ignoring facts, setting up “straw man” arguments and engaging in perfidious attacks. They pretend to have the weight of truth and science on their side but, as we have shown, they ignore many important facts and questions. As Specter himself acknowledges, Dr. Shiva articulates serious concerns that are shared by many people around the world. This is why attacks on her will not succeed. In the end, Dr. Shiva is simply one voice among tens of millions of other voices speaking out in defense of nature, health and justice. “Much of what she says resonates with the many people who feel that profit-seeking corporations hold too much power over the food they eat. Theirs is an argument worth making,” wrote Specter. Rest assured Dr. Shiva’s work will continue. Attempts to ridicule or silence her will not have the intended effect. Instead, they will only increase her visibility and thus her ability to speak forcefully on behalf of those struggling to survive the capitalistic monopolies of Monsanto et al. 3 Comments to "Setting the Record Straight On GMOs"
Thank you for this very informative article. I have been concerned about GMO’s for a couple of years, when I became aware of them. I try to tell as many people as I can about them, and slowly, people are beginning to listen. Much more needs to be done, however.